Home › humor with twist › How did ? Mr Bean gotten killed ..
How did ? Mr Bean gotten killed .. There are statutory warnings on cigarette packs “Injurious to health”. I put a statutory libel on the gum-pad. “Gum and Trouble”. If only the rats could read English they could have saved the lives of theirs and their dear ones. Rest in Peace !! 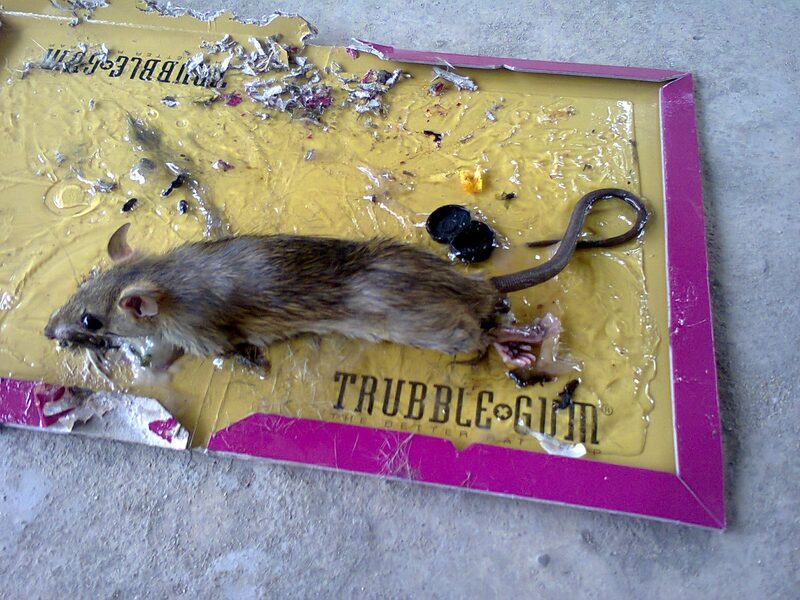 A rat by the name Mr Bean was killed by a natural disaster of gum-sticking. Mr Bean was passing by a refrigerator basement when along with a lizard he was stuck in the gum. It is not clear yet if the lizard was a prey or was killed separately. We are waiting to hear from our gum-disaster-event-correspondent. Mr Bean is still alive and moving chaotically but it is expected that no medical help rescue team will be able to come to help. Mr Bean’s relatives are still making a hue and cry. 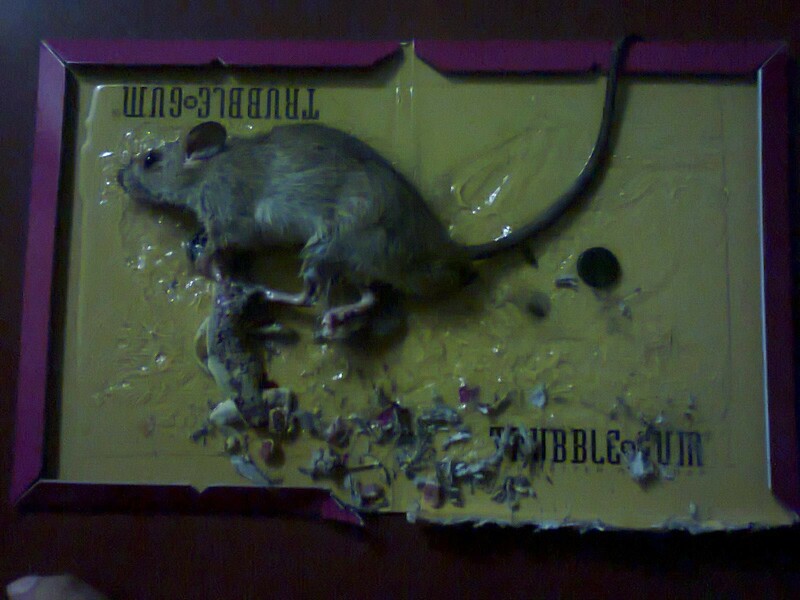 Last year about 25 rats were killed in a vicious counter attack mounted on rats by a Gum-and-Poisson-Tormenter Mr Dash. The chronic confrontation is a result of the rats involvement in a savage treatment towards Mr Dash by tearing Mr Dash’s underwear although they were not so favorite to Mr Dash. Mr Dash is no more involved in these pleasurable assets saving hunting exercises and Mr Bean shown in picture here was killed by some one Else’s ploy. Mr Dash is looking forward to more killings. Its not a religious war cos Mr Dash does not believe Mr Bean is Christian or Jew by their personal choice.